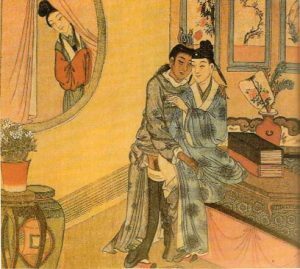 Prostitution may be the oldest profession, but spying is the second oldest. While no one knows when the first intelligence operative conveyed information to his government, historians can safely agree that spying dates as far back as the Iron Age. With such a long history, there are bound to be some fantastic successes and some dismal failures. Considering past intelligence operations and their impacts can help us all to be better consumers of intelligence estimates. In any democracy, the stated purpose of funding intelligence activities is to make us—the voters and taxpayers—safer and less burdened by the astronomical costs associated with national defense. Taxpayers are the CIA’s customers. While considering cases of successful intelligence estimates can be useful, for two important reasons, I will start this overall series with a sub-series of the worst cases. First, I have a tendency to want to deal with the ugliest and dirtiest problems up front. A lifetime of living in the Great Hall of Mirrors tends to do that to old spooks like myself. The greatest and ugliest problems are easiest to identify in the present, and, therefore, if we tackle them first, we can be certain that we are not throwing bundles of cash and human lives into a meaningless inferno of activity. This likely contributes to the “kill, cripple, or steal the biggest monsters first” mentality of much of the world’s intelligence communities. My second reason to begin by looking at intelligence failures is also personal. On the day that I decided to undertake this series, I was thinking about General Douglas MacArthur and his ineffective staff. Naturally, that left me pondering horrible intelligence estimates. While there are hundreds of annoying cases to review, rest assured that we will only consider a few of the more glaring and informative cases before we move on to the happy contemplation of intelligence successes. Let us first consider some limitations inherent to any conversations on intelligence history. As of 2015, we are still learning more from previously classified or buried information that goes as far back as World War One. For example, I spent five hours today scratching at the surface of newly released materials about US intelligence estimates in the 1960s. Another factor to consider is that a great deal of misinformation is often left in files that are well situated between any researcher and certain classified information. Also, old spies lie. They do it well, and worse yet, they do it neatly and effectively in concert with each other. In fact, on some level, most spies with field experience were paid by the taxpayers of their respective nations to learn to lie convincingly. While spies may not be liars in their personal lives, they lie to protect others who were involved in past intelligence operations and to protect any creative tradecraft they might have employed. Not that I would ever be a spy myself. Spying is a disgusting activity that is conducted by loathsome creatures. My cohorts and I are nothing like that. We are nice people, and we have simply done a bit of necessary intelligence work against dangerous enemies—the aforementioned loathsome creatures. To be fair, I should mention that the loathsome creatures often take the opposite view as to who is loathsome, and who is a patriot. But then again, they are loathsome, so why would you take their word for it anyway? Spying is almost always a controversial issue, so let’s start with the case of a culprit that nearly everyone can despise. (No, not the president from whichever political party that you don’t vote for.) Let’s start with a German. A German that few modern Germans would defend—Adolf Hitler. Image by Josef Gierse, wikimedia commons. 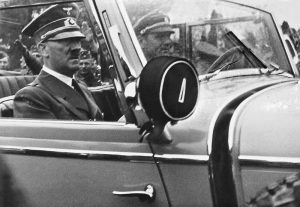 As the NAZI dictator of Germany, Hitler inherited an efficient and effective intelligence apparatus that was run by the German military establishment. So why then did he make so many crucial errors based on bad intelligence estimates? The answer is one of the most important lessons for managing intelligence efforts in democratic nations. Let us consider two of Hitler’s many asinine miscalculations during World War Two. By the time that Hitler ordered the invasion of Poland, he had already committed some glaring miscalculations based on faulty intelligence estimates. The invasion of Poland took Hitler to new heights of miscalculation. 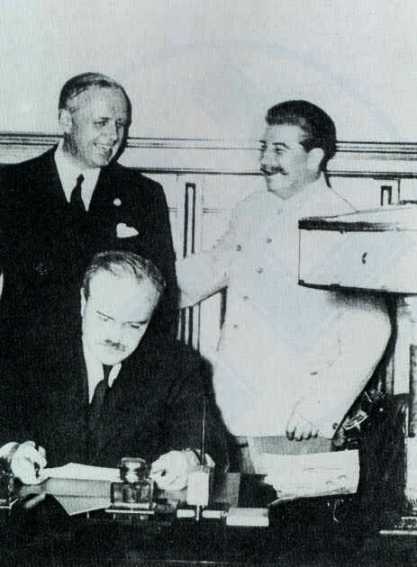 Hitler made a secret pact with his archenemy, Joseph Stalin, for the partition of Poland, and he did it without the advice of his military leaders, his intelligence service, or his best diplomats. 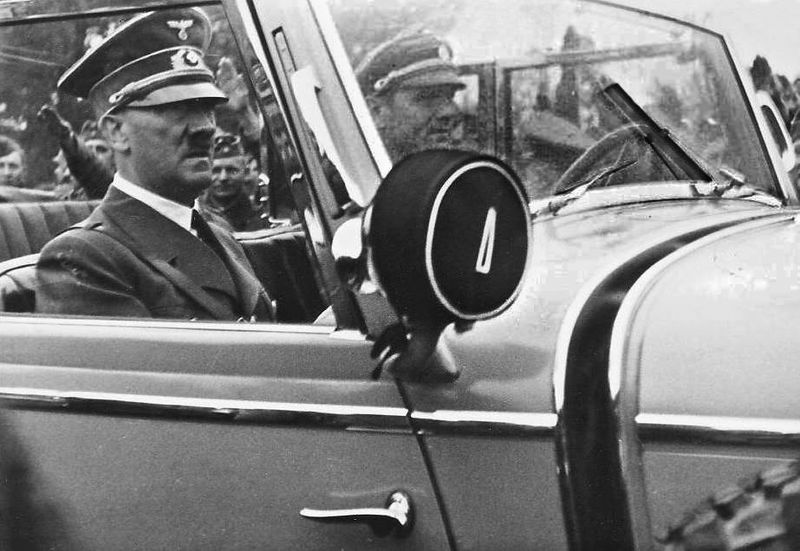 It is difficult to imagine that Hitler had any “good diplomats,” but he did. Unfortunately, the German Foreign Office had been taken over by a pathological low life named Joachim von Ribbentrop. Ribbentrop was a dedicated NAZI and had no regard for logic or reason. He was also capable of tremendous self-delusion. German Ambassador Joachim von Ribbentrop, Soviet Dictator Josef Stalin, and Soviet Foreign Minister Vyacheslav Molotov signing Ribbentrop-Molotov Pact of NAZI-Soviet non-agression, Poland, 1939. Image public domain, wikimedia commons. One result of Ribbentrop’s colossal stupidity was that the many well-educated, dedicated, and intelligent employees of the German Foreign ministry no longer mattered. Their assessments that invading Poland would likely force France, Belgium, and England into war with Germany fell on deaf ears. Hitler found himself fighting the war he had not planned – a general war on his Western front. Germany’s easy conquest of a numerically superior, but poorly prepared, Western Europe encouraged Hitler’s increasing faith in his own propaganda. Unreasonably, he became more convinced that he alone had a clear vision of the geopolitical realities of Europe. With much of her army spread across the globe, Great Britain was badly defeated on the fields of France, but her Air Force and Navy were still largely intact. At the same time, Great Britain’s Army, with material support from the US, was rapidly rebuilding and expanding. Rather than admitting that his own military wisdom was inferior to that of the entire German military establishment’s, Hitler became less willing to listen to his best generals and admirals. This led him to his next great miscalculation, Operation Barbarossa. With Great Britain undefeated and rapidly growing closer with the US, the German military was forced to maintain large garrisons of troops in the occupied countries from Poland to France. The responsibility for controlling these nations was made more difficult by Hitler’s infamous SS Divisions and his secret police, the Gestapo. While consuming military equipment and other resources, the barbaric SS and their ruthless Gestapo counterparts inspired intense hatred for Germany in the occupied nations. This made it impossible for Great Britain to seriously consider any peace agreement with Germany, and it made the German Army’s massive occupation duties much more expensive in equipment and manpower. In those circumstances, no reasonable man would have invaded the numerically superior and materially wealthier Soviet Union. Unfortunately for all concerned, Hitler was nothing like a reasonable man. His military intelligence apparatus and his General Staff accurately assessed that while Germany’s well trained and well equipped Army could take advantage of Stalin’s gross mismanagement of the USSR, they could not completely defeat the USSR while still in a conflict with Great Britain. Hitler ignored their well-reasoned, intelligence assessments, and in doing so, led Germany to ruin, albeit after inflicting millions of casualties in the USSR. The great lesson to be learned from Hitler’s invasion of Poland and from Operation Barbarossa is one that, unfortunately, not all leaders have learned – that the most accurate intelligence estimates are useless when decision makers ignore them. In our next episode, we will look at how Stalin managed to commit some very similar mistakes to Hitler’s with similar costs. As usual, I learn fascinating historical, military, spy information, & more from both you, Holmes, & Piper. You are so right about intelligence being immaterial if the leaders don’t follow it. This is true for so many situations: managers who don’t listen to their R & D department; any field such as psychologists, software developers, physicians, people in marketing, etc. who don’t keep up with the research in their field and have the research inform their products/practice. ANY kind of intelligence is only as good as the person(s) who implements it. Thanks to you, I understand more of why Hitler was such a failure. Unfortunately, millions of people died because of his reign. It’s not surprising that Hitler and his cronies failed to take their own intel assessments on board – he was driven by a pernicious ideology of hate that drowned such obvious things as facts. He was worse than mad. Couple that with Hitler’s long-standing doctrine that called for the Germanic peoples to conquer the Slavs and the scene was set for a war ranging from near Moscow to Berlin, in which millions died. On the other hand, that probably saved the British Empire, whose analysts were deeply worried about a possible large-scale German thrust through Africa to take out Britain’s oil supplies. German command recommended it, and the British knew they couldn’t do a lot about it if the Germans deployed the bulk of their field army. Churchill commissioned a special report on the whole problem from Bernard Freyberg (I’ve read the copy sitting in Archives New Zealand) – on the strength of that, sending a good part of the available British tank strength to Egypt, despite the threat of Britain being invaded directly. But of course neither British and German analysts could account for the behaviour of the Fuhrer. Hi Matthew. Thank you for your well reasoned and insightful contribution. Fascinating, Mr. Holmes. I’m very glad you’re delving into this period, since it’s always been an interest of mine. Looking forward to the next installment. And by the way, thanks to whoever put the tagline “Never hit a man with your fist if someone else will hit him with his car,” at the top. It gave me a needed laugh for at least a minute this morning! Hi Justin. I am glad that you enjoyed the article.